4) Walk along beside Rajavithi hospital and walk along Rajavithi Rd. 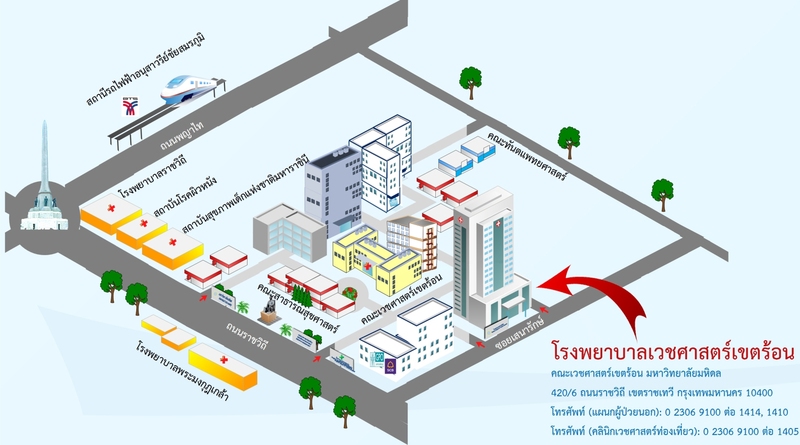 2) Tell him to go to Victory Monument AND give this Thai version of this map to him. The taxi fee is around 120-170 baht from Khosarn Rd. The taxi fee is around 100-130 baht from Siam Square.